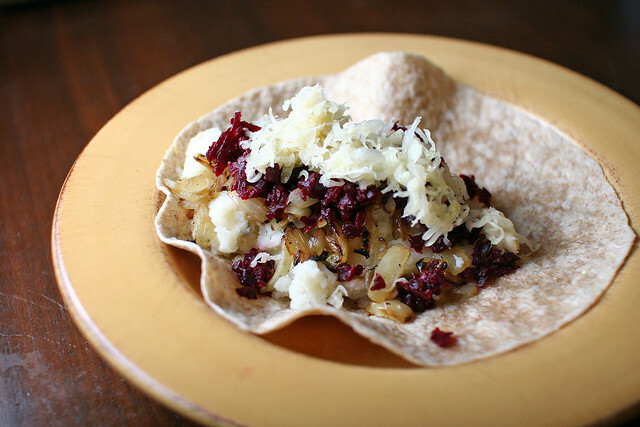 What do you do with leftover perogy filling when you are too lazy to make more perogy dough? 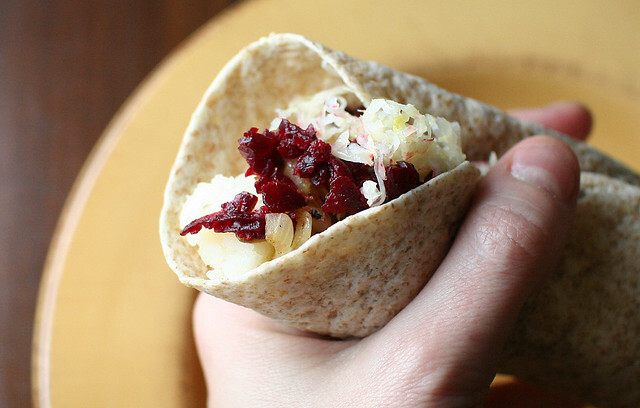 Stuff it into some mini tortillas to make Ukranian burritos! 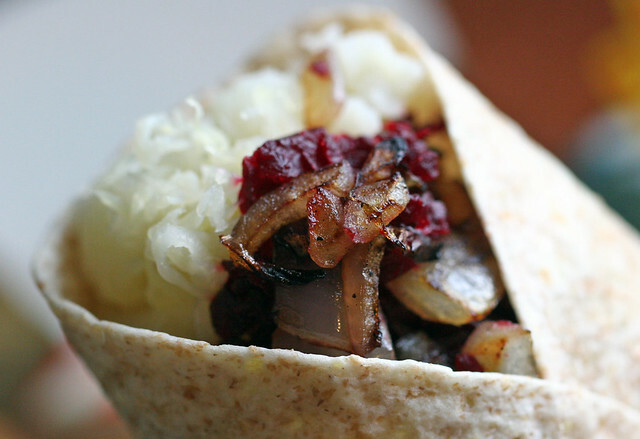 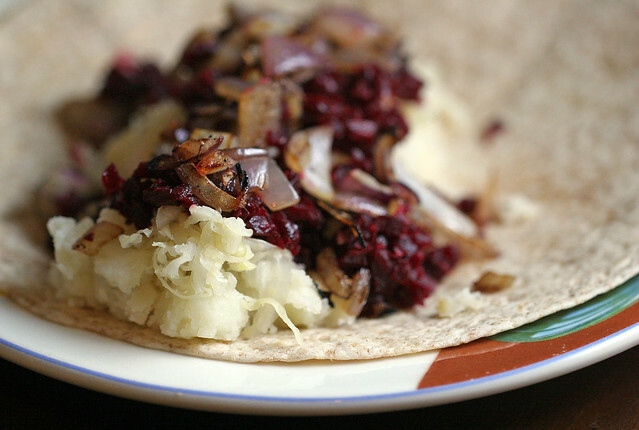 Layer every single thing together: sauerkraut, beets, and pototo-cheddar filling, and don't forget the sour cream and friend onions.